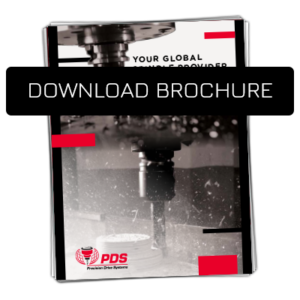 Regardless of the brand or type, PDS provides CNC spindle repair for any belt-driven or electric spindle used for machining wood, composites, plastics or metals. In addition to CNC spindle repair, PDS also offers expert repair services for moulder spindles and saw arbors. Learn more about our spindle repair process and view brands of spindles we repair. Regardless of the brand or type, PDS provides spindle repair for any belt-driven or electric spindle used for machining wood, composites, plastics or metals. PDS repairs all Homag, Holzma, SCM, IMA/Schelling, Holz-her and Biesse Selco main and scoring saw arbors to better-than-factory standards. The PDS router rebuild process begins after we receive your spindle and we perform our spindle inspection and evaluation. Once the inspection is completed PDS will prepare a repair quote and review it with you and ask for your approval to proceed. Your spindle is the heart of your machine. We are here to help you get it back up and running and keep it running. Click here for Troubleshooting Tips. PDS repairs all brands of high-speed electric spindles including Benz, HSD, Hiteco, Homag & Perske. Get expert precision spindle repair from our highly skilled technicians. As standard, our spindle repairs provide a six-month factory warranty. We offer written factory warranties for rebuilds and upgrades.